Right side attacker Kayla Morin prepares to deliver a serve. She had five kills and eight digs in the Wildcats’ losing effort against Nebraska. Looking to get back into the win column after two straight losses, Northwestern (13-5, 3-4 Big Ten) went into Nebraska confidently but lost to the No. 13 Cornhuskers (11-5, 5-2) in straight sets. A long night it was for the Wildcats. The first set started off with Nebraska in complete control, winning 8 of the first 10 points — at one point earning 7 straight. NU spikes were repeatedly blocked by the Cornhuskers, and the Cats hurt themselves tremendously with numerous attack errors. NU lacked communication on the floor and simply looked lost at times during the opening set. Freshman hitter Symone Abbott was strangely absent for most of the first set, possibly leading to the Cats’ issues. A sloppy set overall for NU, Nebraska easily won the opener 25 points to 12. NU finished the first set with a negative hitting percentage, in part because senior hitter Yewande Akanbi had only one kill with two errors. “We didn’t come out with the right mindset,” Chan said. The second set opened much more evenly, with the teams splitting the first sixteen points. NU appeared in sync and attacked the ball ferociously, especially from the middle, something they hadn’t done much in the opening set. With the help of Abbott and Akanbi, who rebounded after her early struggles, the Cats began to pull away. But Nebraska then tied the set at 18 and regained the lead, coming back from a four point deficit thanks to a 7-1 run. Following a 22-point tie, the Cornhuskers won three straight points and the set, 25-22. Akanbi came back in the set with four kills while Abbott added three. Freshman setter Taylor Tashima had a nice 16 total assists through the first two sets, while senior Katie Dutchman and Akanbi led the team with five kills through the two. In the third set, NU looked as though its early struggles returned, as the Cornhuskers won the first eight points of the set. The Cats started getting their act together a little bit, but never managed to cut the Nebraska’s lead to less than five. The Cornhuskers’ defense overwhelmed the Cats, and again miscommunications on the floor hurt NU. Steamrolling over the Cats 25-13, Nebraska swept NU in straight sets. Dutchman led the Cats in kills with seven, but the most glaring stat from the box score was the team hitting percentage — an even zero. With 28 kills and 28 errors, this was a bad loss for NU. Chan made no excuses for the loss, refusing to blame crowd noise on the Cats’ high number of errors. Up next for NU is a road game at Iowa (8-9, 0-6), where the Cats will be looking to snap a losing streak that now stands at three games. 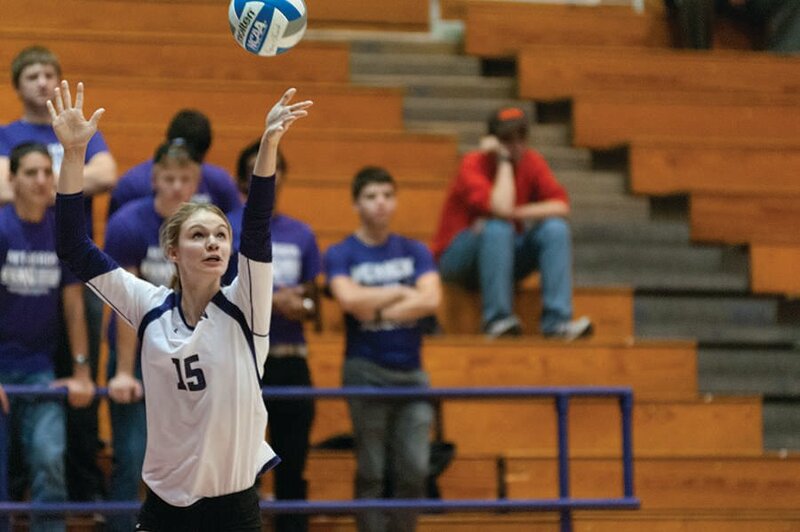 See our full coverage of Northwestern volleyball.